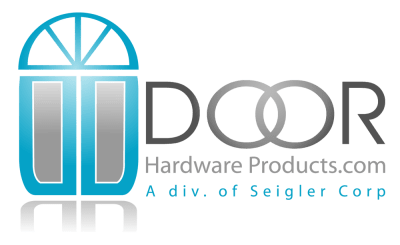 DoorHardwareProducts.com has tried to make its shipping and handling prices and policies as fair as possible, so you benefit from our competitive pricing, plus the convenience of delivery to your door. If you ordered two or more items, you may receive them in multiple boxes on different days, because of varying item availability and shipping locations. We do not charge you extra shipping for split shipments. Because 2nd Day delivery service involve air transport, some items cannot be shipped via these options. Items containing hazardous or regulated materials or some very large or heavy items must be shipped to you via freight carrier—these items are identified at time of purchase. We do our best to ensure that shipping is correctly calculated before you purchase; however, at times it may not be possible to do so accurately. We reserve the right to notify you after you’ve purchased an item of any additional shipping or handling charges necessary to deliver your order. If notified of any additional charges, you also have the right to modify or cancel your order for a full refund as long as it has not been shipped. If not your order will be treated as a return and a restocking fee will be charged. During holidays, any orders received will not be processed until the next business day. Items not specifically marked as IN STOCK are either out of stock or located in a warehouse that we do not have a live inventory feed with. If your order is time sensitive, please contact us to ensure your products will ship in a suitable time frame. We ship anywhere within the continental United States, Alaska, Hawaii, and Canada. If you have an APO/FPO/DPO* address, call us at (888) 649-0865 to place and order and obtain a custom shipping quote. We’re currently unable to ship outside the United States and Canada. We are unable to ship to a United States territory directly. Please use a freight forwarder if that is the product’s end destination. Once the items are en route to our fulfillment center, it then becomes a return and then is covered by our returns policy. All charges and credits are done in US dollars, DoorHardwareProduct.com is not responsible for changes in exchange rates or any fees you incur from your bank for currency exchange. DoorHardwareProduct.com offers free shipping on all orders over $150.00 delivered by Standard Ground or orders over $1500.00 delivered by Curb Side Delivery (LTL), to the 48 contiguous states*. Free shipping offer does not apply to Alaska, Hawaii, or any international destination. *Free Shipping offer is for a limited time and subject to change. Our fill rates are typically excellent, but occasionally we must backorder or source inventory from multiple warehouses. This means that different parts of your order can come from various locations around the country. In the unlikely event we are unable to ship your order complete, we reserve the right to ship the stock we have and backorder the items which we were unable to ship. You will be notified via email of the estimated delivery date for your backordered items. You will NOT be charged any additional freight charges for items that are backordered.